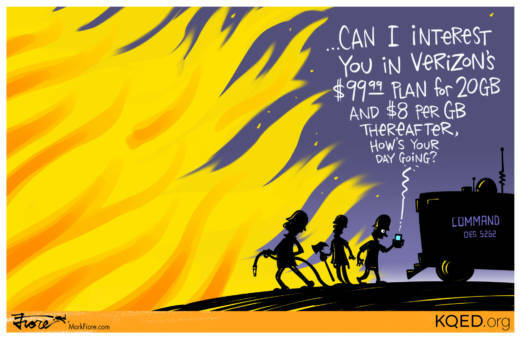 Imagine fighting the largest wildfire in California history and Verizon says you'd have to upgrade your plan if you want faster internet to get your maps and documents. That's what happened to a couple of Santa Clara County firefighters that were helping battle the Mendocino Complex fire in July. The story is now part of a federal lawsuit on net neutrality regulations.